Shiver [Book Review] – my books. my life. When Grace was 11, she was attacked by the wolves that live in the woods behind her house. Instead of being traumatized by this experience, Grace becomes obsessed with them. Especially the one with the yellow eyes, the one that saved her, the one she refers to as “her wolf.” Her wolf, Sam, lives the winter months in his wolf form but shifts into a human during the warm summers. Fast-forward to the present day, Grace is a teenager when she finally meets Sam in his human form. But as the weather gets colder, Sam has to fight to stay human. Because this next change will be his last. I’ve seen this one floating around for awhile but I held off on reading it because I wasn’t sure about the being-in-love-with-a-wolf-after-other-wolves-tried-to-kill-you angle. Turns out I should not have judged this book by it’s back cover. I ended up really enjoying it and reading most of it in one afternoon. 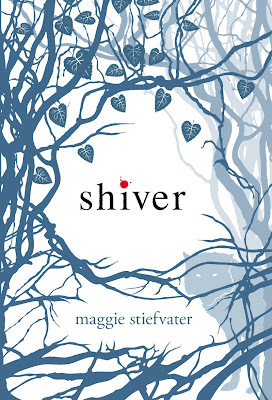 Stiefvater infuses what could be yet another paranormal teen romance with beautiful writing. This is where I would love to share some passages with you but I have returned my library copy. So you have to trust me on this one. I loved the times when Sam and Grace were just happy. They fell in love with each other so early in the novel that we really got to spend some time with them as a couple before The Drama happens. I like the touch of giving the current temperature at the start of each chapter. I thought it added a level of suspense to the story. As I watched the temperatures plummet, I felt Sam and Grace’s time running out. I am anxiously waiting for my copy of Linger to come in. I don’t know where the story is going to go (especially since I loved the ending of Shiver) but I want to find out. I’m at the end of this one now. I was surprised that it was so well written. It would have been easy to make the characters come across as whiny teens, but Stiefvater manages to avoid that. The concept seems sort of strange to me too but I’ve heard SUCH great things about it that I bought them for my TBR. Glad to hear you enjoyed it too! I really lie this one too after being very skeptical about it. The premise does seem fantastic but Stiefvater handled it very well. I’m so glad to hear you enjoyed this! I really love this series. This is one of my favorite series. Like you, I was worried that I wasn’t going to like it given the subject matter but I’m so glad I took the risk and read it anyway. Pick up Linger! It’s even better! I too see this one everywhere, and now I want to read it even more. Wish I had even more time to read!